Last night, our good friend and colleague Pastor Mitri Raheb was awarded the prestigious Deutscher Medienpreis in Baden-Baden, Germany. This is an award that has been granted to individuals such as Nelson Mandela, the Dalai Lama, Bono, Kofi Anan, Queen Rania of Jordan, Hilary Clinton, Angela Merkel, and Rudy Giuliani. The former President of Germany, Roman Herzog, read the citation to honor Mitri. 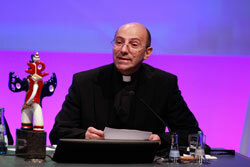 The selection committee stated that the decision of the jury to give the award to Rev. Dr. Raheb was based on his tireless work in creating room for hope for his people, who are living under Israeli Occupation, through founding and building institutions of excellence in education, culture and health. 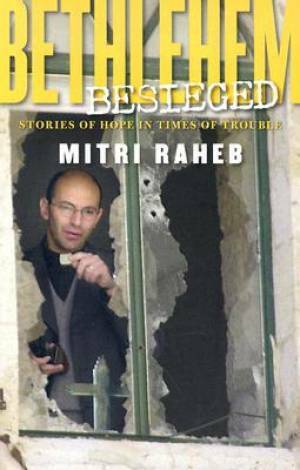 We first got to know Mitri in 1989, shortly after his return from Germany with a doctorate in theology and his ordination as pastor of the Evangelical Lutheran Christmas Church in Bethlehem. At that time, he spoke hardly a word of English and gave us a tour of the church in German, describing his dreams for the future. At that time it was evident how the congregation had suffered under occupation. Little did we know that this young idealistic pastor was a man of vision, who had the faith and courage to carry out those dreams. 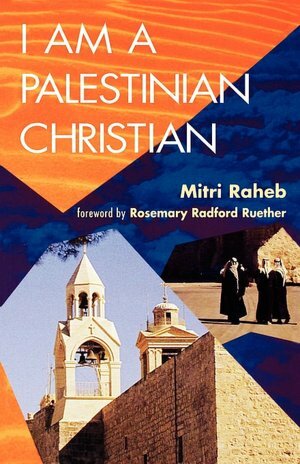 In 1991 during the first Gulf War, while the whole city of Bethlehem was under curfew (basically a whole people living under house arrest), Mitri wrote a book I Am a Palestinian Christian in which he awakened those of us in the West that there were Christians living in the Holy Land today--yes even Lutherans--and that most Palestinians were ordinary folk who simply wanted to make a decent living and provide a safe and secure atmosphere to raise their families. In doing so he would have to debunk the popular media image that Palestinians were terrorists and expose the expansionist political agenda of Israel that attempted to legitimize occupation and the confiscation of Palestinian lands for colonies called settlements. It was not long before Mitri had become a popular speaker in venues all around the world. Sadly the Bethlehem 2000 events and the progress that had been made were crushed under the second Intifada -- described in Bethlehem Besieged Nevertheless, Mitri would still not be deterred, as his subtitle suggests: Stories of Hope in Times of Trouble. 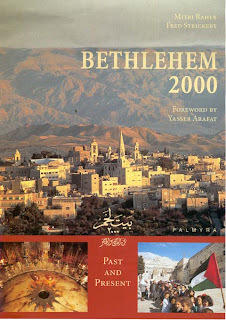 His work has continued with the building of a new state-of-the-art k-12 school Dar Alkalima, the establishment of the first Lutheran College, a wellness center with swimming pool, exercise rooms, yoga classes, and clinics, and now a Gymnasium in process -- all at the southern end of Bethlehem. Today the campus of the Lutheran Church in the center of town includes a guesthouse, restaurant, art gallery, convention center with large auditorium, and guest house (Dar Annadwa). The center is actively publishing scholarly Arabic studies, encouraging preservation of classic Arab architecture, and promotion of music, Arab dance (dabka), the arts, and film. Foremost, Mitri is a pastor, feeding his congregation with challenging sermons and inspiring the youth not to give up hope. So again, we raise our voice: Mabruk! 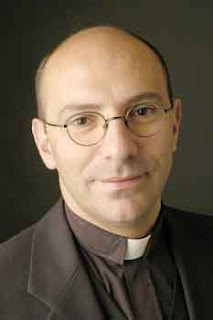 Mitri. This is a well-deserved honor. Those of you who know Mitri will celebrate with him this award. You will also be disappointed by the following. Sadly, this is not the end of the story. The last several weeks The Jerusalem Post has decided to follow a campaign of character assassination with no less than three stories of quotations out of context and libelous labels. One headline actually read Israel Slams Award to Anti-Semitic Pastor. And the Israel Embassy in Germany did their best to pressure the former German President and the founders of the prize to withdraw this award. Before going one step further, we can say loud and clear, "Mitri is not anti-Semitic! He is not racist!" He is nothing what these articles claim him to be. Yet Mitri has been smeared in the press and across the internet by individuals who do not know Mitri, but who seem threatened when a Palestinian pastor is so honored. Interestingly, all three articles were written not in Jerusalem, but by an individual who is part of a right-wing think tank in Berlin who is shoveling his trash to the Israeli Embassy in Berlin and to the Jerusalem Post newspaper. It is quite clear that neither the author or the embassy personnel he supposedly quotes has even read what Mitri has written or heard his lectures. According to the JP article, one of his sins is that he is involved in the "Cairo Document" which sounds like some gathering in Cairo, Egypt. Most likely this is a hearsay reference to the "Kairos Document" which, for anyone who has read it, makes clear the reference to the Greek word for "the opportune moment" and which focuses not on hate, but on a moment of faith, hope, and love. So, if they could not even take the time to get the title right, would anyone expect them to know what this document is about? A simple google search of the JP articles' key words and phrases shows that the Berlin source was an online article written by a Jerusalem expatriate who seems to want to discredit Palestinian Christians whenever the opportunity arises-- and that includes taking phrases out of context and using labels that defame. Last Wednesday at our interfaith group, our Jewish Rabbi counterparts shook their heads in disbelief. "Anyone who knows Mitri, knows he is none of these things," one summed up the feelings of the group. Yet once a label appears in print, it's almost impossible to correct, erase, or detract. Opportunists will be quick to jump on the bandwagon. And the defamation will continue. In the meantime, those who know Mitri are standing up to congratulate him. 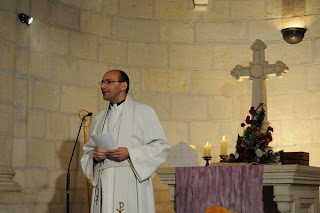 See news releases of the Lutheran World Federation and the World Council of Churches , the latter referring to Dr Raheb as "a person with immense integrity." The leadership of the church in Germany has spoken out on his behalf, the granters of the prize have refused to bow to pressure to withdraw the prize, and the former president of Germany Roman Herzog proudly stood before the cameras and microphones to honor our dear friend and colleague, Pastor Mitri Raheb. Last night, Mitri Raheb spoke to the world in receiving this award, that only when we flee from the temptation to demonize the other, and when we truly listen in our encounter, then there is the possibilty of peace. His entire speech can be found online here.